R-508B is part completely free of ozone-depleting CFC, HCFC substances azeotropic environmentally friendly Refrigerants, get the vast majority of countries in the world currently approved and recommended by the mainstream ultra-low temperature refrigerants are widely used in new refrigeration equipment (ultra-low temperature, initial installation and maintenance of cryogenic process) on the re-add. Compliance with U.S. environmental organizations EPA, SNAP and UL standards, in line with American Society of Heating, Refrigeration and Air Conditioning Engineers (ASHRAE) security level of A1 category (this is the highest level, harmless to human body). 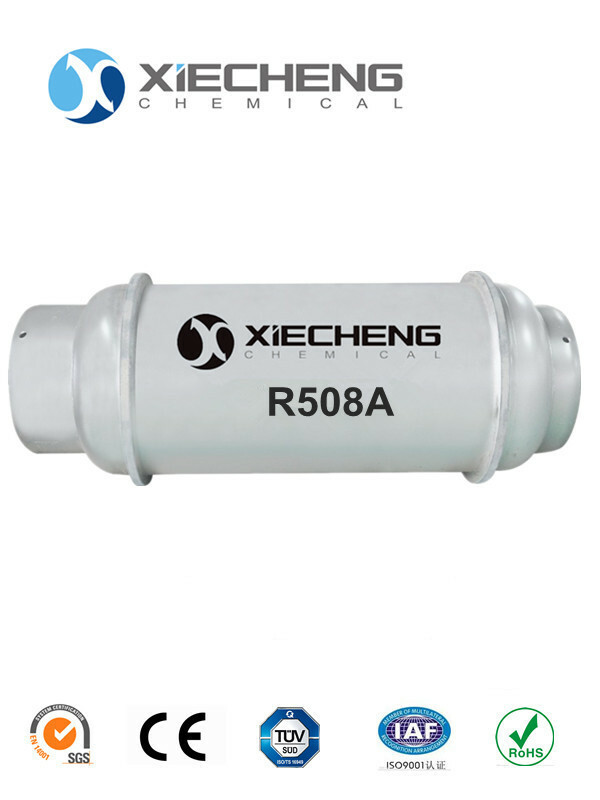 Looking for ideal Environmental Protection Refrigerant R508a Manufacturer & supplier ? We have a wide selection at great prices to help you get creative. All the Refrigerant R508A Price are quality guaranteed. We are China Origin Factory of Environmental Protection Refrigerant R508a Price. If you have any question, please feel free to contact us.